As of Monday, there is a new kind of "DUI" in New Jersey: Droning Under the Influence. On his final day of being New Jersey's (incredibly unpopular) governor, Chris Christie signed a law making it illegal to fly an unmanned drone aircraft drunk or under the influence of drugs. 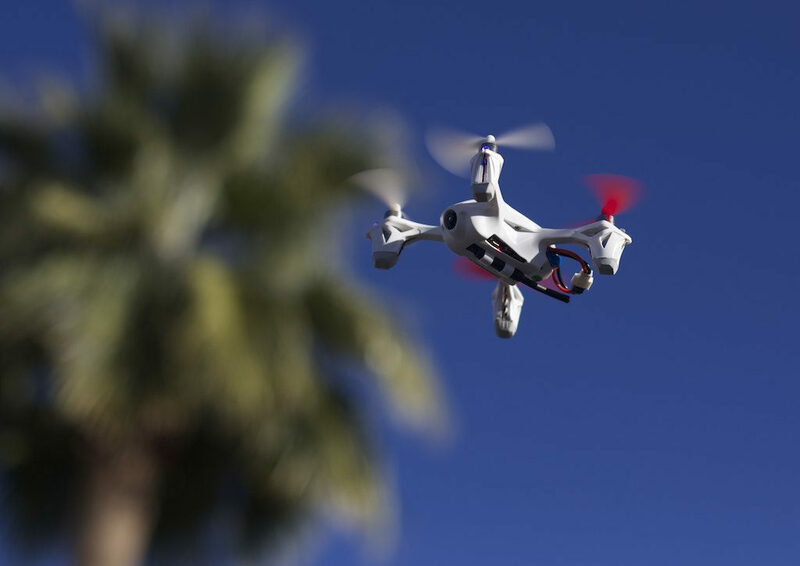 The law prohibits flying a drone with a blood alcohol content of 0.08 percent or higher, the same as for driving a vehicle, or while drugged. Violators face up to six months in jail, a $1,000 fine or both. The measure, which passed the Democratic-controlled state legislature earlier this month, also bars flying a drone near a prison or in pursuit of wildlife. The drone measure was among 109 bills that Christie signed into law on his last full day in office, spokesman Brian Murray said by email. Christie’s successor, Democrat Phil Murphy, is to be sworn in on Tuesday. It was a lovely weekend in New Jersey, and governor Chris Christie celebrated it by closing a popular beach, which he then subsequently occupied with his family. 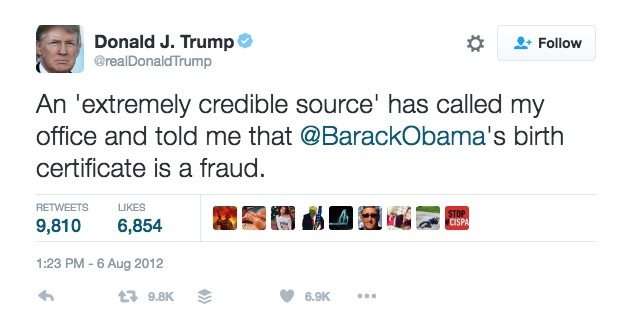 Then he lied about it, until drone footage proved it. 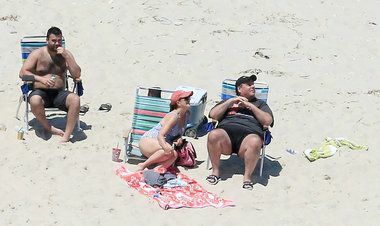 New Jersey Governor Chris Christie is facing heavy criticism after he was photographed relaxing on a state beach he had ordered closed to the public. The Republican gave the go-ahead for non-essential services to be shut down - including the Island State Beach Park - over the 4 July holiday weekend because of a budget impasse. "I didn't get any sun today," he said, before the aerial photos emerged. 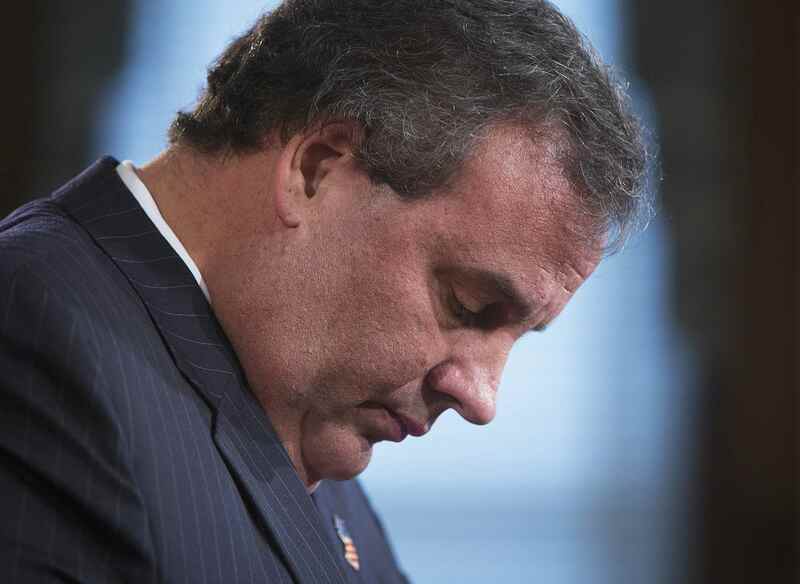 New Jersey Governor Chris Christie is now the most unpopular governor in America, according to a new poll by Morning Consult. Since September, when he was still Donald Trump's toady, Christie has picked up 3 percentage points in the unpopularity department. His disapproval rating now stands at 71%, with only a 25% approval rating. After Christie, Brownback, and Malloy, the list of the top five most unpopular governors is rounded out by Michigan Gov. Rick Snyder and Alaska Gov. Bill Walker. Massachusetts Gov. Charlie Baker is the most liked in the country, followed by Maryland Gov. Larry Hogan, North Dakota Gov. Doug Burgum, Vermont Gov. Phil Scott, and South Dakota Gov. Dennis Daugaard. Morning Consult polled more than 85,000 registered voters between January and March for the survey. New Jersey governor Chris Christie told a reporter that President Donald Trump made him order meatloaf when they ate a meal together at the White House this week. Earlier this year, Chris Christie appointee David Wildstein pleaded guilty to ordering lane closings on the George Washington bridge in 2003 to punish a New Jersey mayor for not supporting Christie's gubernatorial bid. Wildstein is now a star witness against two other people in Christie's inner circle who've been charged with conspiring to close the bridge lanes. Testifying in federal court today, Wildstein said that when Christie was told about the plot, Christie laughed and joked about it. "Mr. Baroni said, 'Governor I have to tell you about something,'" Wildstein testified, saying that Baroni and Christie often adopted a "very sarcastic tone" when they were talking politics. 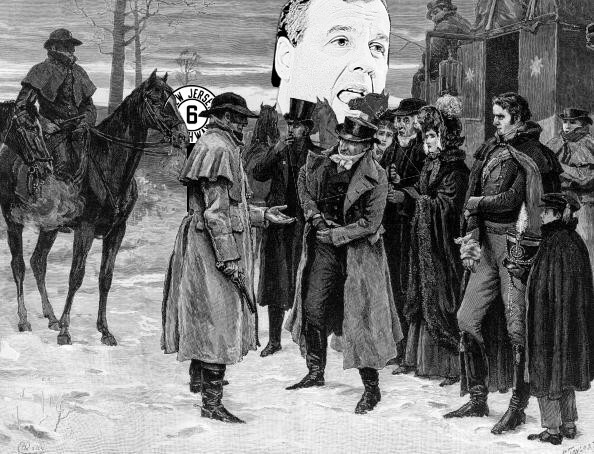 "Mr. Baroni said to Governor Christie, 'Governor, I can tell you there's a tremendous amount of traffic in Fort Lee this morning, major traffic jams, and Mayor [Mark] Sokolich is very frustrated." He alleged that Baroni then added, "You'll be pleased to know that Mayor Sokolich is having trouble getting his telephone calls returned." According to Wildstein, Christie replied with similar sarcasm, "I imagine he wouldn't be getting his phone calls returned." ... The governor still called Wildstein by the pseudonym he used on the [influential political blog] website, "Wally Edge." So Christie surely understood the import of what Baroni allegedly told him next: "Mr. Baroni said to Governor Christie that I was monitoring the traffic, I was watching over everything," Wildstein testified. 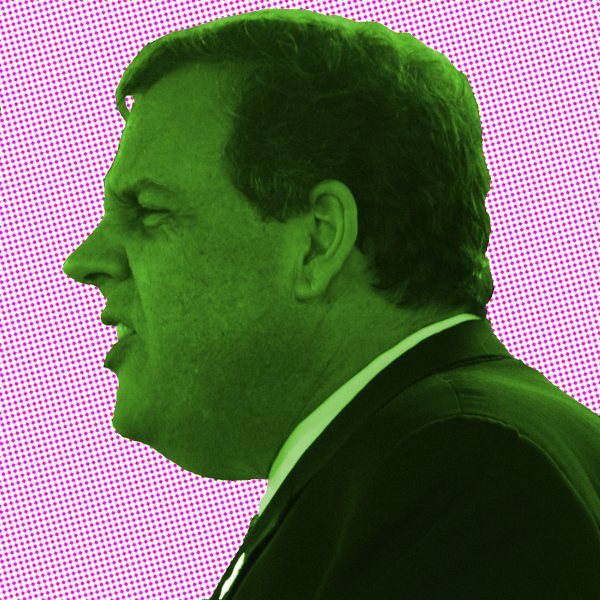 "Governor Christie said in the sarcastic tone of the conversation, 'Well. I'm sure Mr. Edge would not be involved in anything political." Then, Wildstein said, "he laughed." "This was our one constituent. 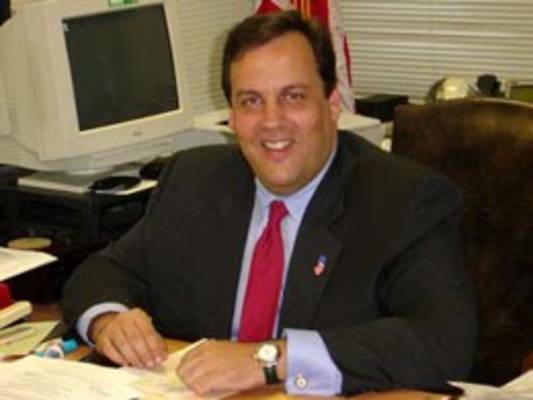 New Jersey governor Chris Christie has vehemently denied knowing anything about his staff's scheme to punish a local mayor by ordering lane closures on the George Washington Bridge in 2013. But today, prosecutors in the trial against two former Christie staffers charged with closing the lanes said Christie knew about it all along. Prosecutors from the United States attorney’s office said that two of the alleged co-conspirators in the case, David Wildstein and Bill Baroni, had bragged to the governor about the lane closings, and that they had been done to “mess” with the mayor of Fort Lee because he had declined entreaties to endorse the governor’s re-election. The prosecutor, Vikas Khanna, instantly advised the jury that they should not consider the actions of “others” or wonder why they were not charged. The details of the plot that Mr. Khanna laid out were largely familiar by now: that one of the defendants, Bridget Anne Kelly, sent an email in August 2013 saying “time for some traffic problems in Fort Lee” after confirming that the mayor of that borough would not endorse Mr. Christie. A month later, two of three access lanes to the George Washington Bridge were shut down, and the other defendant, Mr. Baroni, the highest ranking official at the Port Authority of New York and New Jersey, which runs the bridge, studiously ignored the mayor as he pleaded by text, email and a handwritten letter for the agency to reopen the lanes. I cannot wait for the Bridgegate trial to begin in April. 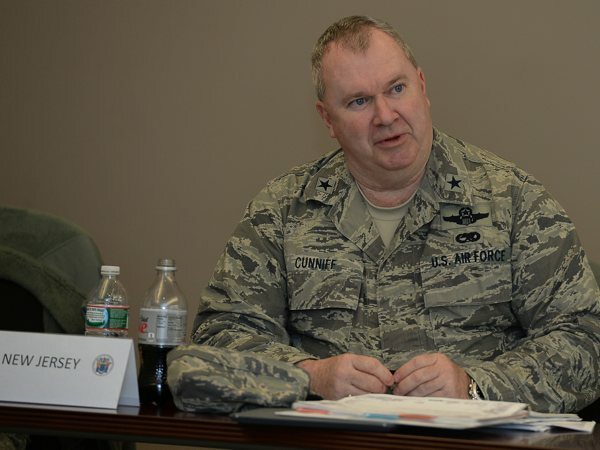 New Jersey Governor Chris Christie has given New Jersey National Guard leader General Michael Cunniff 90 days to lose weight, or else. The action comes after Christie's staff told The Washington Post that the governor was unaware the general had been reprimanded by the Pentagon about his weight and for repeatedly dodging physical-fitness tests. The newspaper obtained the records under the Freedom of Information Act. The previous National Guard leader was a childhood friend of Christie's who was forced to resign in disgrace when he was caught having an on-the-job affair. 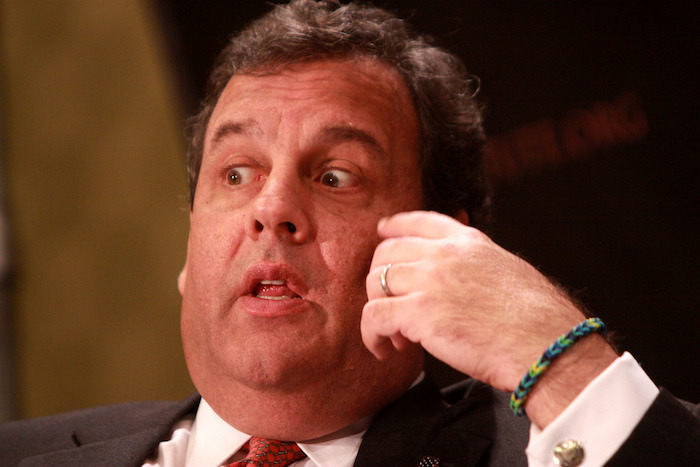 New Jersey governor Chris Christie's presidential favorability ratings have been falling since December 2014. He is faring so poorly that a Langer Research poll conducted for ABC News and The Washington Post released today didn't even bother to put Christie on a graph of the Republican candidates. 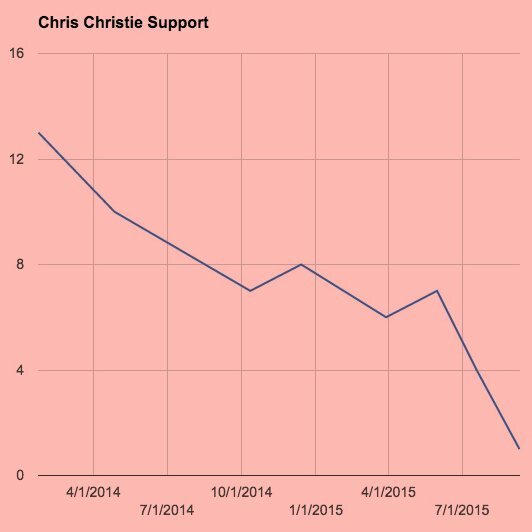 The report did publish Christie's raw numbers so I made a graph that shows how far he's fallen (above). 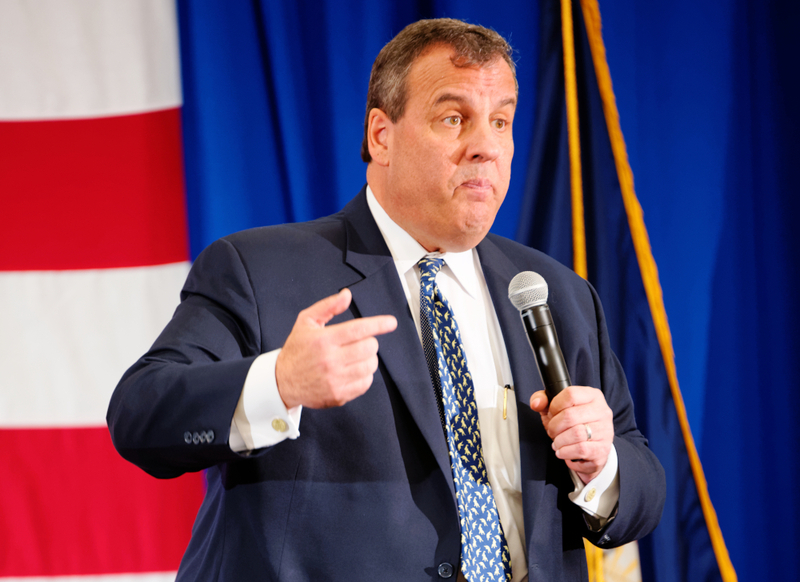 Christie's support among registered Republicans is 1%, so it's no surprise that he is scolding the press to "stop blathering" about Bridgegate and report on Hillary Clinton's email problems instead. But his tactic isn't working. 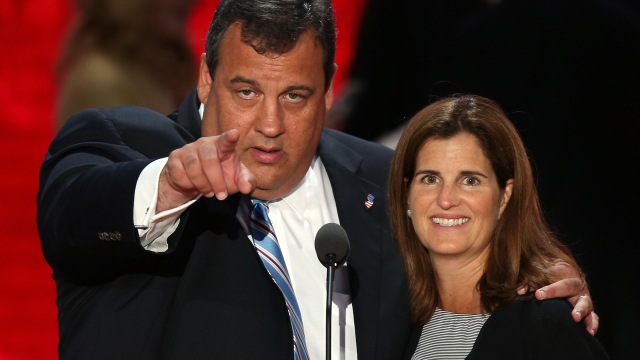 Christie donors are pulling out in anticipation that the growing list dirty dealings at the Port Authority of New York and New Jersey will destroy any small chance Christie has of winning the Republican primary. Tom Moran of New Jersey's Star-Ledger says that Christie's latest scandal involving United Airlines CEO Jeff Smisek could "finally sink him." Christie has been lying about Bridgegate on national TV as a habit, saying that federal prosecutors have ruled out filing more charges. That's not close to true, but it's revealing. He knows this scandal could kill him. Another indictment would bring it back to center stage. [Former Port Authority Chairman David] Samson's role in the lane closures isn't clear, in part because he refused to answer questions during Christie's internal investigation. But if he is indicted over any of his behavior at the Port Authority, this scandal will be back in the news. I’m going to have Fred Smith, the founder of FedEx, come work for the government for three months. Just come for three months to Immigration and Customs Enforcement and show these people... You go online and at any moment, FedEx can tell you where that package is. Yet we let people come into this country with visas, and the minute they come in, we lose track of them. The only detail left out of Christie's kooky proposal is where the tracking number tattoo will go. Right hand? Forehead? Presidential candidate Chris Christie, who commands a 3% support rating among registered GOP voters, is trying hard to win over conservatives who are disgusted with him for hugging Obama during the Hurricane Sandy cleanup in 2012. To show them how much he dislikes Obama he released a campaign video blaming Obama for the heroin epidemic that's been going on for 20 years, and earlier today he blamed Obama for the stock market crash on Wall Street this morning, too. 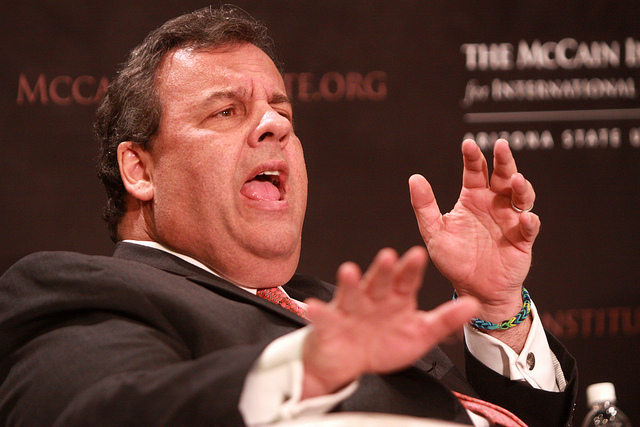 Chris Christie denounces "civil liberties extremists"